Malas are traditional Buddhist prayer beads, often used in meditation to count mantras and as a symbol of one's spiritual journey. A Tibetan mala necklace has 108 beads, after the sacred number that is deeply rooted in our connection to the universe. 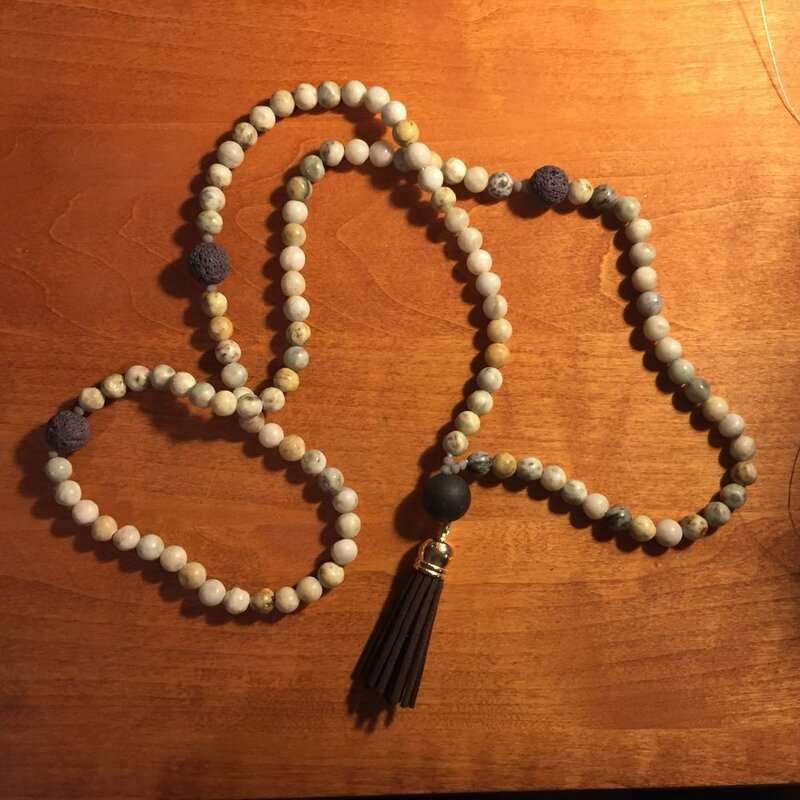 Making your own mala is fun, easy, and reminds you to meditate and focus on your intentions. Before you begin making your mala, what intention does it signify for you? 1. Begin with one of your medium spacer beads and bring it to the middle of the string. Spacer beads help you stay focused on counting your mantras and are usually placed at every 27th bead. Secure it with knots on either side and add glue inside the center of the bead if necessary. 2. Start adding your mala beads. I decided to add 2 small decorative beads on either side of my spacer beads. Get creative with it! On every 27th bead, add another spacer. Since the first bead you added is secured in the middle, you'll be working on one side of the string at a time. 3. Now that you've beaded your mala, bring the two sides of the string together and weave them both through the Guru bead. Secure it with the rest of the beads by tying a knot and adding glue. 4. Now just tie the tassle, cut any excess string, and push the knot through the center of the Guru bead, securing with more glue. Enjoy your new, beautiful mala! Let it be a precious symbol of your practice, a reminder to meditate, and a tool to help you realize your greatest intentions.